The “sales funnel” is a common concept used by sales and marketing professionals to move potential prospects down the funnel, so to speak, to the point of purchase. While hundreds of variations of this metaphor exist, the sales funnel is relevant for virtually every industry. Why? Because every business hopes to find ways to attract more customers and, ultimately, increase profits. Law firms are no exception. Understanding and mastering your law firm’s sales funnel will help you create a streamlined and efficient process for signing new clients. The legal advertising experts at Whitehardt, a top law firm marketing agency in Nashville, are here to tell you how. 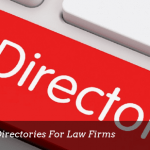 Many attorneys have relied on business cards, word of mouth, and maybe a website or some form of listing to advertise their firm. However, in our increasingly digital world, these traditional methods are not enough to compete. There are endless marketing opportunities available that law firms can and should use to their advantage. However, marketing is not one size fits all. There are many ways you can promote your firm, but without a dedicated strategy in place, you run the risk of spending time and money on tactics that aren’t suited to your needs or your client base. This is where the sales funnel comes in. The sales funnel is a great way to organize and structure the marketing activities that are relevant to your firm and most likely to push potential clients to the bottom of the funnel, or in other words, closer to hiring you. This is the first step in your sales process and the widest part of the funnel. Consumers passing through this stage are searching for an attorney. Therefore, the activities you carry out at the top level of your sales funnel should be designed to gain exposure and attract potential clients. Advertising on television with a creative and effective attorney commercial, as well as online marketing activities, such as an easy to navigate website and pay-per-click campaigns, will help your firm reach a wider audience and attract more clients relevant to your business. After grabbing their attention, people who reach this stage of the sales funnel need to be assured that you’re the right attorney to handle their legal needs. Client testimonials, quality landing pages, and informative content are great ways to accomplish this. Whichever methods you choose, the goal here is to show how your firm is the answer to your potential clients’ problems. This way, they feel inclined to pick up the phone or fill out your form. The bottom of the sales funnel is where potential clients are converted into leads. This stage is all about making it easy for people to reach you once they have decided they’re interested in hiring you as their attorney. Unfortunately, this is where many law firms fail, causing potential clients to fall off the funnel. ‘Bottom of the funnel’ activities such as implementing an attentive intake management system will be crucial to securing the leads derived from your marketing efforts. However you choose to organize your law firm’s sales funnel, the end result should depict a clear path for you to guide potential clients from the first time they see your services online to the moment they decide to call you. 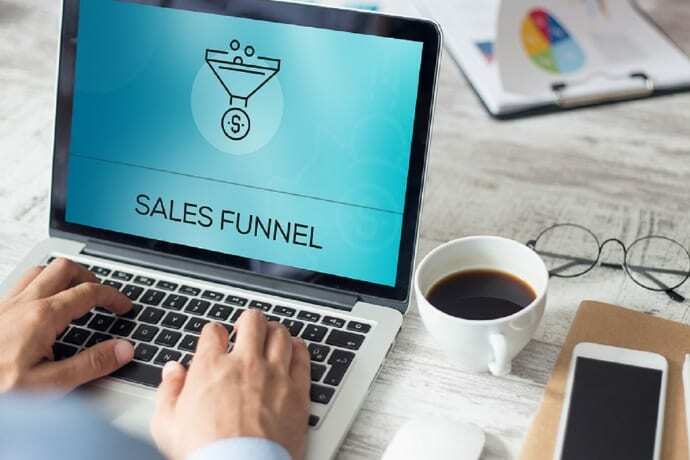 In addition to organizing the marketing activities that will work best for your firm, outlining a sales funnel will help you identify cracks in your current process. In other words, where and why are you losing potential clients? Are you not receiving as many leads as you’d like? You may need to put more effort into your ‘top of the funnel’ advertising efforts. Or maybe leads are dropping off after they contact your firm. In this case, it might be necessary to improve how you’re communicating with potential clients. Keep in mind, there’s always room for improvement and there will likely be multiple areas where you and your staff can make adjustments. Visualizing your law firm’s sales process as a funnel can be an enlightening task that makes it easier to pinpoint where your weak points are and what you can do to gain more cases. While knowing your law firm’s process for getting new clients is important, it can be difficult to put a comprehensive strategy in place that covers everything from your TV and PPC campaigns to your website and SEO strategy. When in doubt, call Whitehardt. Our leading law firm marketing agency will analyze your market and create a customized strategy that will help you generate more leads and sign more cases. Call our office at (615) 577-1010 or fill out our contact form to learn more about our wide range of services, including attorney commercials, media buying, digital marketing, pay-per-click, law firm consulting, and more. Take your business to the next level with Whitehardt’s expertise.